Sciblogs | How safe is the MMR vaccine? In the tiny Pacific Nation of Samoa, on Friday 6 July 2018, two babies died shortly after receiving MMR vaccine. How could this happen? Lots of discussion is going around about this tragedy, and even more questions. Here are some responses to the things I have been asked this week summarised under the headings below. How safe are MMR vaccines? How can vaccination with MMR go wrong? MMR vaccines were originally developed in the 1970s to protect against measles, mumps, and rubella, in one convenient jab. However, there is a long history of the development and use of measles-containing these vaccines that extends back to the 1960s. The measles-containing vaccines are called live vaccines. This is because the viruses in the formulation are viable, they can replicate. The viruses need to replicate to get the body to make an immune response that will be protective against disease but they have also been weakened so they are unable to cause disease. These vacciens are extremely effective with measles and rubella vaccines likely providing life-long protection. 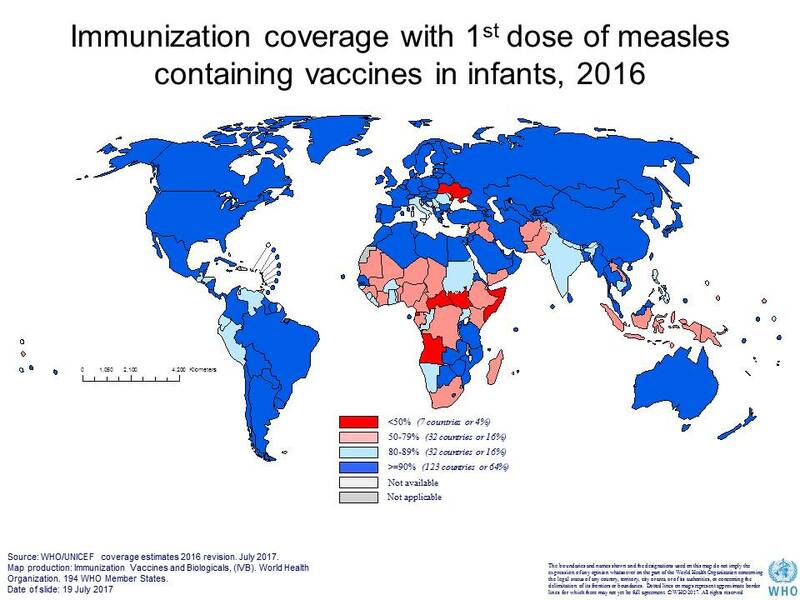 It is hard to estimate exactly how many people in the world have received these vaccines but in 2016 85% of one year olds had received a dose of measles-containing vaccine, like the MMR. Given each year the world welcomes over 130 million newcomers the number of people having received these vaccines will be well in the billions. An estimated 20.4 million lives had been saved between 2000 and 2016 through use of measles vaccine and way more during the preceding decades, however, even in 2016 over 89,000 deaths from measles occurred. The point is, an awful lot of vaccine has been used and many lives saved! Longer answer: Relatively common events associated with MMR vaccine are Fever and/or mild rash 6–12 days after immunisation due to the measles component, fever and/or mild swelling under the jaw 10—14 days after immunisation due to the mumps component, fever, mild rash and/or swollen glands 2—4 weeks after immunisation due to the rubella component. Temporary joint pain 2—4 weeks after immunisation is more common in adult women than children. Rare adverse events associated with MMR vaccine: Temporary low platelet count about 1/30,000; convulsion associated with a fever about 1-2 per million doses, Encephalitis less than 1 per million, infection free meningitis about 1 per 800,000 to 1 per million, and anaphylaxis 1 per million. Yes there are some rare but serious risks. How do we know? Nearly sixty years of safety surveillance and studies, the nature of which I have summarised in these pages previously. Here are some figures on the risks from measles, mumps, and rubella. Measles: Ear infection (otitis media), diarrhoea, pneumonia, low platelet count, encephalitis (brain inflammation) for around 1 person out of 1000—2000 cases, weakened immune system, hospitalisation for around 1-2 person out of 10 cases death for around 1 person out of 1000 cases despite treatment, degenerative brain disease for around 1 person out of 100,000 cases, occurs years later and is always fatal. Measles during pregnancy increases the risk of miscarriage or premature birth. Mumps: Fever, headache, swelling and pain of one or more glands under the jaw, viral meningitis for up to 15 people out of 100 cases, temporary deafness for around 4 people out of 10 cases and permanent deafness for around 1 person out of 15,000 cases, inflammation of the testicles or ovaries in adolescents and adults, nerve, joint, kidney, heart inflammation, encephalitis (brain inflammation) for around 1 person out of 6000 cases, which may result in death for 1 person out of 100, death for 1—2 people out of 100,000 cases, mumps during early pregnancy increases the risk of miscarriage. Rubella: Some cases have no symptoms, which increases the risk of exposing pregnant women to the disease, rash and painful swollen glands, joint pain in adolescents and adults, low platelet count, encephalitis (brain inflammation) for around 1 person out of 6,000 cases. Rubella during early pregnancy can cause severe abnormalities in unborn babies including deafness, blindness, heart defects, and brain damage. Anyone who has experienced a severe allergic reaction (anaphylaxis) to a previous dose of any measles, mumps or rubella containing vaccine or any of the vaccine components. Anyone who is acutely unwell. The presence of a minor infection is not a reason to delay immunisation. Anyone with a diagnosed weakness of their immune system. Anyone who has received another live injected vaccine, including varicella (chickenpox) or BCG vaccines, within the previous month. Having mentioned the known risks with MMR vaccine above there are other things that can go wrong. MMR vaccine often comes as a lyophilised powder (freeze dried). It needs to be reconstituted with a diluent, in this case sterile water for injection. There have been tragic occasions where instead of the vaccine diluent provided with the product another substance was inadvertently used to reconstitute the vaccine. If this substance is something like morphine, adrenaline, of anaesthetic the consequences are likely to be disastrous. An example of this occurred in Syria where it appears likely the vaccine was mixed with a muscle relaxant from the same fridge. Fifteen children died and a number of others were very ill. Contamination of the vaccine by bacteria can happen when multi dose vials are used. While in NZ we use single dose vials, some countries use vials that contain five or ten doses. Once reconstituted these need to be used within a few hours then discarded. If left lying around in a warm place the growth of bacteria can set in. MMR vaccine has no preservative to stop this from happening. Using a damaged product can result in overwhelming sepsis and/or poisoning from toxins that the bacteria produce. A terrible case in the Sudan involved untrained workers and a single syringe for the whole 4-day campaign, and no access to cold chain. Like the Syrian disaster, fifteen children died, hundreds were ill. However, even when the vaccine has been stored and handled properly things can still go wrong. Vaccination with an underlying deficiency of the immune system. 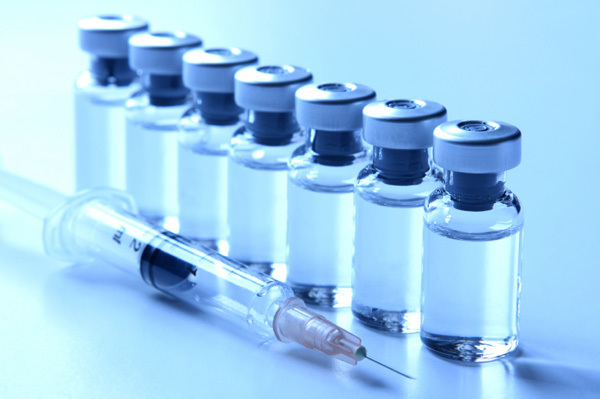 Sometimes people with immune deficiency, such as being on immune suppressive drugs like steroids, chemotherapy, or having an inherited immune deficiency, or HIV infection, or undiagnosed blood cancer, may be inadvertently vaccinated with a live vaccine. What happens? Usually nothing. However, there is a risk that their immune system isn’t working well enough to control the replicating vaccine virus. This could develop a disseminated vaccine-related infection. Investigations might find that the person had an undiagnosed underlying condition, something that sat dormant waiting for the right trigger. There are many infectious diseases that do this, such as influenza, herpes viruses, hepatitis viruses, chicken pox… Very occasionally a vaccine can do this too. Finally, despite best practice there are some events that are unavoidable. Very, very, rarely a previously healthy person will have a serious allergic reaction to MMR vaccine which can be treated. Until the investigations have been completed and reported on we cannot say what did happen. The reports from the parents of the children affected on Friday indicate the reactions occurred within minutes after vaccination. This would preclude a response to the vaccine viruses as this takes at least a week. While anaphylaxis occurs within minutes and can be fatal when not treated the odds of seeing this twice in a day at the same place, given a chance of 1 in a million doses, is literally astronomical. Global experts are assisting Samoan authorities in their investigation. We still need to understand what happened then implement measures to prevent such a thing from happening again. On top of the tragic loss of two children there is also the loss of trust in the health professionals that seek to protect people. I assume this must be due to some mistake (ie human error) in preparation of the vaccine for injection as you suggest. Some years ago there were deaths in Syria when instead of water an anaesthetic agaent was used to reconstitute the MMR vaccine. I am sure something similar will have happened here. It seems the most likely scenario based on the information to hand. Thank you, Doctor. Your excellent efforts at comprehensible vaccine explanation are really appreciated, far and wide. I hope you find it rewarding; you deserve to. Thank is very kind, thank you. Hello Helen. This makes for interesting reading. I wonder whether a Coroners Report will be forthcoming and, if so, whether (or not) it will be made public ..
Its now a criminal case. Assuming it goes to trial, the entire detail will be public, including any findings of fact from a post mortem. Thank you HelenAshton. I wonder whether a Coroners Report will be forthcoming and, if so, when it will be made public ..
coronial reports are ipso facto public. I don’t understand the point of your question – is there a sea lion in the house? The point of my question, Ashton, is simply to find out / establish when the report will be made public. That straightforward. Just keep in mind this is not a NZ issue so not subject to NZ policy and practice. Shall do thank you Helen. I had a (minor) role in the NZ meningococcal B project some years ago, and took particular interest in the ensuing public fallout / controversy at that time; hence my interest in this event. Hi Helen, I’ve read that some vaccines require that the vial be shaken before administration. Just wondering what could happen if the directions are not followed correctly? Nothing would happen from a vaccine safety perspective if the vaccine were not suspended by shaking or inverting several times. The only risk of not inverting or shaking is that some of the active ingredient remains adhered to the vial and does not get injected. If less vaccine antigen is administered then there is a potential for a lower immune response. Having perused the entire 76 pages of ‘Storage and Handling instructions’, I am struck by the apparent levels of importance placed on correct handling / mixing procedures, and the oftly repeated exhortations – often in italics and / bold – such as: “Do Not Use”, “Separate from compromised Vaccines’, and “Discard compromised vaccines”. I cannot help but ask: Why the variance between the CDC instruction, and your guidance on this matter please. Does it really matter or .. I am not sure where I have provided any guidance on vaccine storage? Nor why you would want to read the entire 76 pages of US storage and handling instructions given you are not required to handle vaccines. You must have a considerable amount of free time. My comments pertain on the conditions that might cause a life threatening event should mishandling of a vaccine occur. Improper storage of vaccines can result in loss of potency. Maintenance of cold chain is vital for the integrity of biologicals. Bear in mind that the CDC is a USAnian institution, writing for USAnian readers, and in this case for USAnian administrators of USA sourced vaccines. 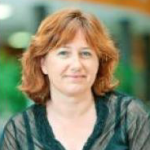 Helen is a NZ specialist, writing on a NZ blog about mainly NZ vaccines and NZ vaccine policy. NZ vaccines, the NZ vaccine schedule, the instructions for using NZ vaccines and following the NZ vaccine schedule all differ from those in the USA. Some of the differences likely reflect differences in legal practices between the two countries. USA has the CDC. NZ has the MoH. Effectively, the question you are asking breaks down to “Why doesn’t a NZ specialist slavishly follow the rules set down for the USA?” The answer is obvious: because they follow the guidance written for the country they work in, which happens to be NZ. Hello Helen. You are right; you werent providing guidance on vaccine storage. Rather, you were answering a specific question about mixing them. To mention, I find that on re perusing the CDC Storage / Handling instructions, several (but not all) of the aforementioned “exhortations”referred to the storage side of Handling, not the actual mixing. And, I take Stuart’s point, that the differences in handling / mixing instruction are likely to reflect differences in legal practices between the two Countries. Which makes sense. Given that most of NZs childhood Schedule vaccines are manufactured by GSK in Belgium must add a measure of added complexity to the scenario also .. This blog item hasnt reached a logical conclusion. And somehow, the matter seems to have quietly, drifted out of public awareness. Can anybody provide an update for / the findings of this unfortunate event? The Fiji case is still sub judice. The wheels of justice tend to grind slowly in order to allow the defence to prepare their case. The public silence is to prevent prejudice in potential jurors. Wait for the trial to actually occur – your questions should be answered then. Thank you Stuart. Is this blog item likely to keep readers updated on the matter or .. The Commission of Inquiry into the deaths of the infants commenced on 12th September. After hearing from the Samoan National Health Services, Ministry of Health and School of Nursing, the Commission highlighted the need for ongoing nurse training during their employment in the health sector. The Inquiry was adjourned on 14th September until after the Court proceedings against the two nurses charged with the manslaughter of the infants are concluded. The hearings are due to commence in February 2019. I was reading that the the Director General of Health in Samoa, Leausa Take Naseri, said that “vaccination processes had been improved following the investigation into the deaths, including a supply of new refrigerators to store the vaccines”. Have you heard if there was a problem with the previous refrigerators? I think it might be more about a lack of suitable storage as opposed to something being wrong with the refrigerators. It is very important not to store vaccines with other medications, they must have their own seperate refrigerator.